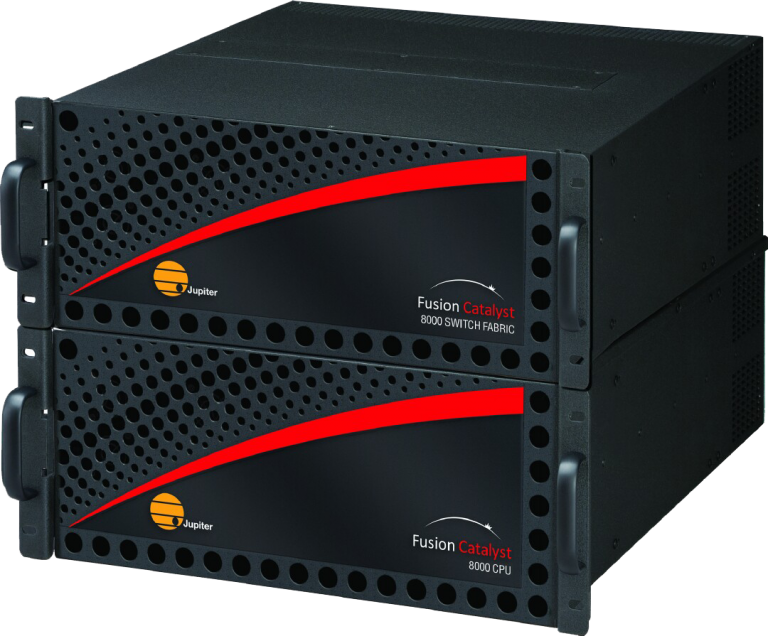 The Fusion Catalyst™ family of display wall processors ushers in a new era of performance and flexibility for collaborative visualization applications. Employing cutting edge, second generation PCI Express technology, Fusion Catalyst processors offer up to an astonishing 320 Gbps of bandwidth. That’s enough bandwidth to carry multiple 1080p video signals at a full 60 frames per second, drive HD displays at a full 32 bits per pixel, and support virtually any configuration requirement. Remember to bring your applications, because Fusion Catalyst is not just a display wall processor, it’s also a PC with Intel CPUs and Windows 7 onboard. Run mission-critical apps, access data through the network, engage the information, and collaborate on a wall-sized desktop. THE NEXT GENERATION OF DISPLAY WALL PROCESSORS HAS ARRIVED. The Fusion Catalyst™ 8000 is the fastest, most powerful display wall processor yet. 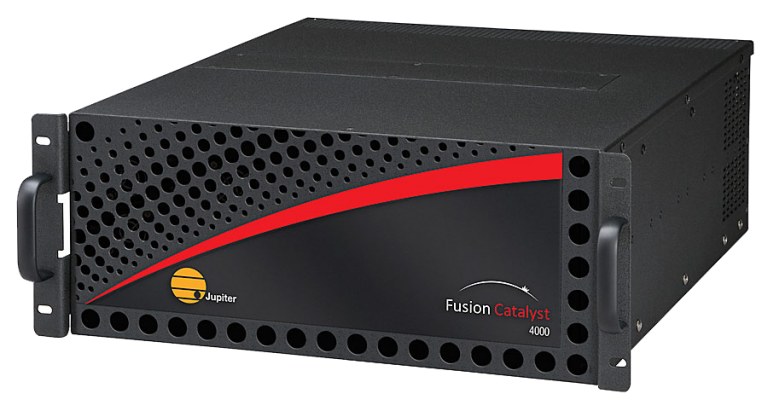 Users and industry pundits around the world have called the Fusion Cata­lyst product line the best-in-class since its introduction in 2010. The newest member of the family, the Fusion Catalyst 8000, is the best of the best. With bandwidth that reaches 320 Gbps, the Fusion Catalyst 8000 delivers more high resolution windows(up to 2560x1600) at full frame rates and 32-bit color than any competitor. And with up to 80 slots, no project is too big. Featuring the award-winning performance and quality for which Jupiter is known, this is the solution for the most demanding projects. Hot-swappable input and output cards support the most demanding environments. The Fusion Catalyst™ 4000 is the center of the Fusion Catalyst product line, perfect for most display wall projects. At a full 48 slots, with two optional Expansion Chassis, the Fusion Catalyst 4000 can support up to 96 outputs at 2560x1600 pixels at 32 bits. Each Dual DVI-I Output Card has 256MB of onboard graphics memory for flawless image quality. With optional Dual-Link DVI-I Input Cards, Fusion Catalyst 4000 can support up to 94 DVI, progressive scan component HD, or analog RGB inputs. Up to 376 video inputs can be accommodated using optional Octal SD Video Input Cards. With optional Quad HD Decoder Cards, Fusion Cata­lyst 4000 can support up to 120 HD or SD streams in MPEG-2, MPEG-4, MJPEG, and H.264 formats. Most popular IP cameras and encoders are supported, as are desktop PC streams with real-time updates. Optional CatalystLink™ cards support PixelNet® HD-SDI and DVI Input Nodes with remote KM capability.